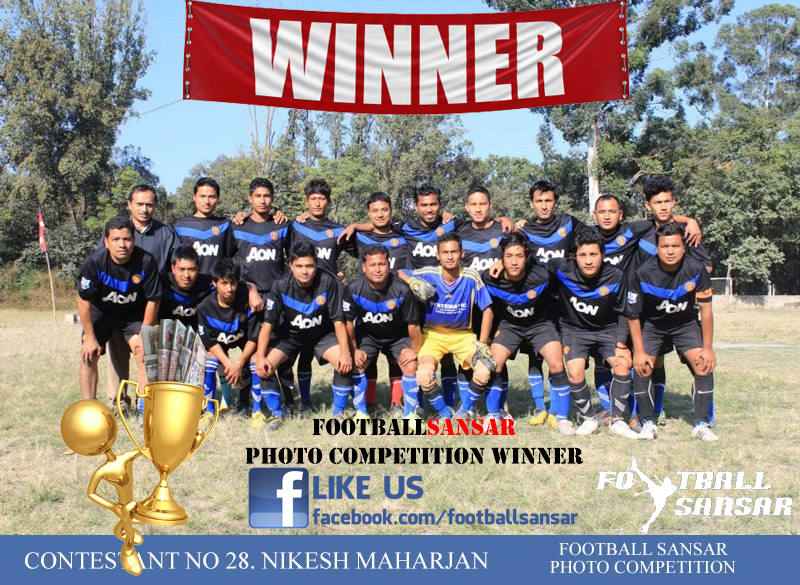 On 15th March 2013 Nikesh Maharjan became the winner of the Football Sansar Facebook photo competition. The competition that ran for over a month was an opportunity for football fans to show their love and passion for the game. The photo with the most number of likes would win the competition & Nikesh seized the competition with 2777 likes. Congratulations to Nikesh on the victory. Along with the prize money of Rs 5000/- he has also received some bragging rights to show his love of the game.